The design objective was to design an artist retreat for an important living artist. I was given an artist called Alex Maclean, an aerial photographer and architect. 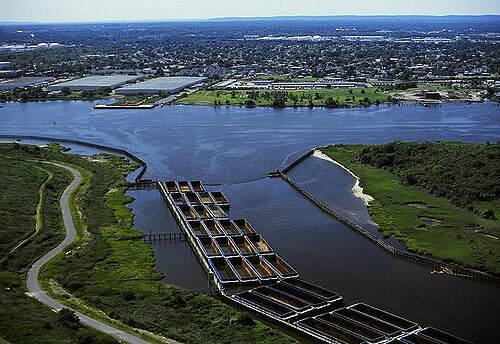 I decided to put my site in Winthrop, Massachusetts because Alex Maclean was born there and is an American photographer. I also placed the site in an open space and close to the Atlantic Ocean so that Alex Maclean could watch the ocean from his artist retreat. The house conveys his style of patterns through the use of stacked rectangles. This work shows the relation between nature and human interactions that Alex Maclean emphasizes on. Alex Maclean lives in Lincoln Massachusetts. He is an american aerial photographer who takes pictures from his own plane. Maclean uses pattern and bright colors in his works and also has a good sense of space. 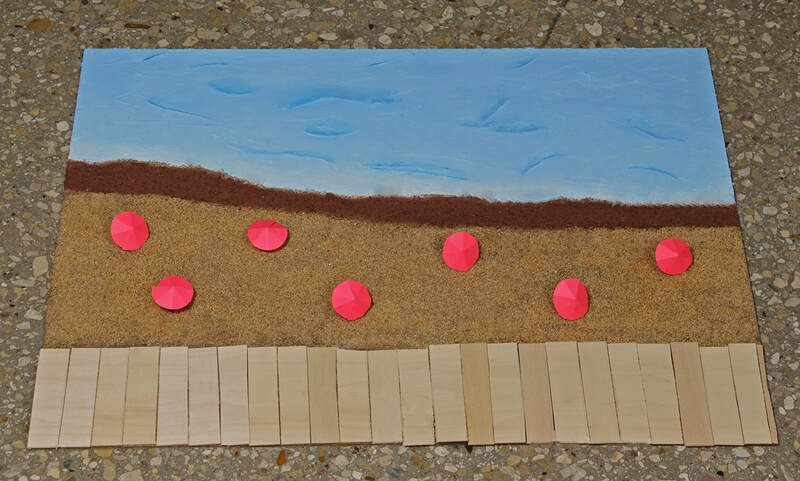 My motive for the multimedia piece was to represent a beach to show how the site was going to be placed near the ocean. I cut up balsa wood and placed them to look like a beach boardwalk to show Alex Maclean's use of patterns. I also made little umbrellas and set them down in a pattern. I used some gesso to form ocean waves while using bright colored paint to paint the ocean to show how Maclean uses bright colors in his works. I decided to place my site in Winthrop, Massachusetts because it is close to the Pacific Ocean so Alex Maclean could look out and watch the view. To do this, I realized that he would need a tall house to represent the aerial perspective which is why I chose to design a four story house. I chose to use stacked rectangles to convey Maclean's use of patterns in his works. In the end, I added the balconies to not only fill in the gaps on the sides but also to provide multiple viewpoints from different areas of the house. The final design is a four story house that is divided up so that the first and second floors are the public spaces while the third and fourth floors are the private spaces. The house is made of stone and wood and one side of the studio is just glass to provide Alex Maclean a view of the ocean. Many windows were added throughout the house to provide a lot of light. Also, each floor has a staircase so that people could just walk from floor to floor. I designed this 3D model to describe the word connected. 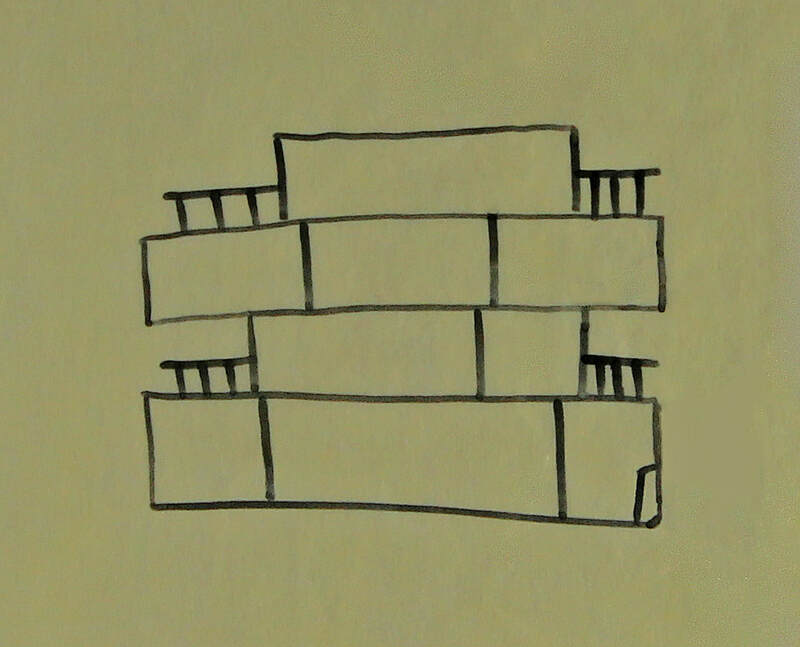 I decided to make a simple design where there are pillars and boxes that connect to one another. This connects to Global Culture because it shows the relationship between things and it shows how even though things might be different around the globe, there will always be a connection. The purpose of this project was to make a global makerspace so that people can come to work together and interact with one another. Each group was given a continent to design a makerspace, uniting people from different countries. We had to design a makerspace while connecting the living and community spaces. In the beginning of this project, we picked our groups based on how well you work with your partners. My group was Haylee Tidwell and Beyonce Duarte. I think we work well together because Haylee is a very creative person which showed as we chose her design to further develop. Beyonce and me are more similar where we both cooperate well and get the job done when needed. We all brought different aspects which made our group well balanced. ​ Our design is based off and egg where the makerspace is seen as the yolk while the living spaces are the egg whites. The community spaces are not an actual building because we wanted to make them more like an open area. It is located in North America on the coast of Belize so that the people could get an ocean view. For the final design, We decided to put the makerspace on elevated land so that it could be the highlight. The community spaces were placed around the makerspace while the villas were placed in the water. The reason they were placed there so that we could utilize the area and have it be unique. we positioned each villa so that each person could have an ocean view from their patio. Pathways were built so that the people could travel between the villas, the community spaces, and the makerspace.